The finest in appraisal education, professional development, and networking opportunities. 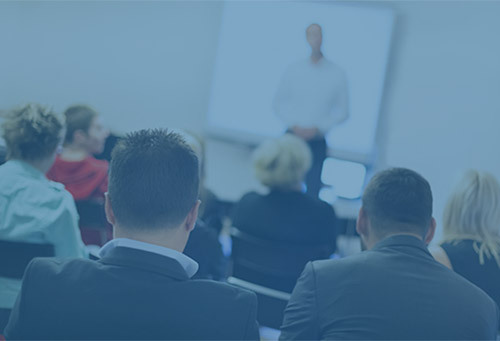 Quickly search our upcoming education events. 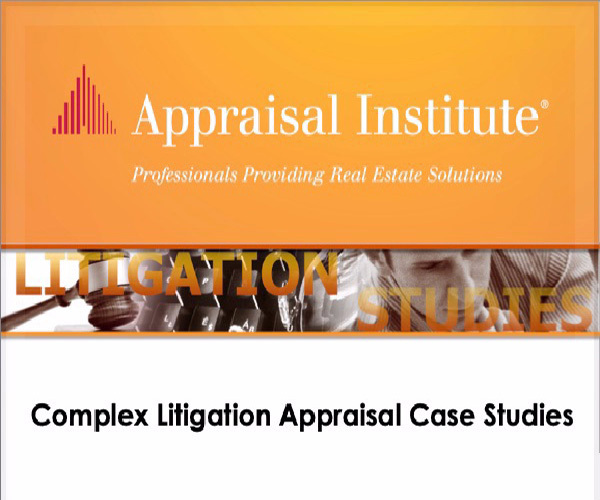 Apr 24, 2019 - This one-day seminar discusses in detail three case studies that provide an overview of litigation strategies to appraisers who are new to litigation work, as well as a reinforcement of litigation skills to more experienced appraisers. 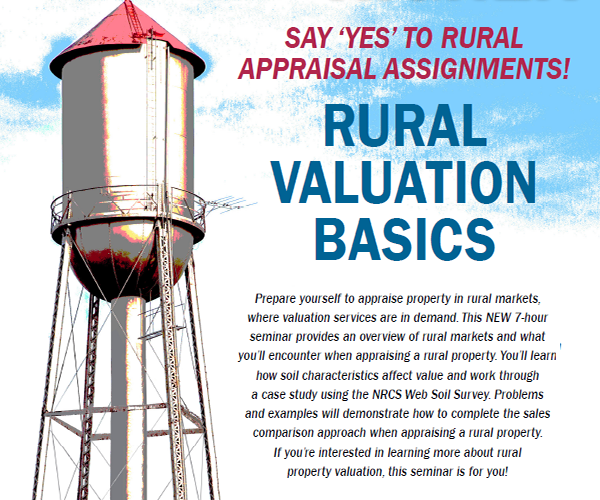 May 8, 2019 - This 7-hour seminar teaches residential and commercial appraisers the fundamental skills they will need to complete rural appraisal assignments. May 16, 2019 - Event location, Federal Reserve Bank of Chicago - Money Museum - 230 s LaSalle Street, Chicago IL 60604. 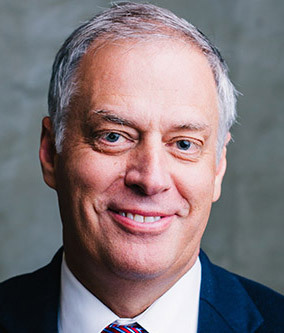 Speaker Rick Mattoon, senior economist and economic advisor in the economic research department of the Federal Reserve Bank of Chicago. 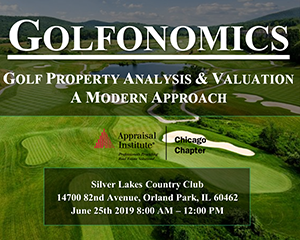 June 25, 2019 - This seminar will discuss the history of golf, market analysis, management, property analysis, food and beverage, and other aspects of golf properties. 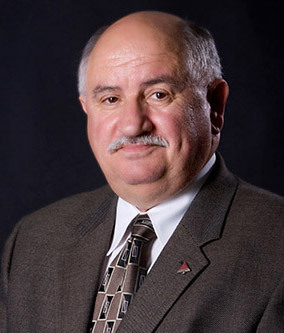 Joe Mags, Joseph Magdziarz, MAI, SRA, AI-GRS, AI-RRS has been an active instructor for AI for the past three decades. He was the 2011 National President and has served on the Education Committee in many capacities including Chair. Joseph is qualified to facilitate numerous courses and seminars. 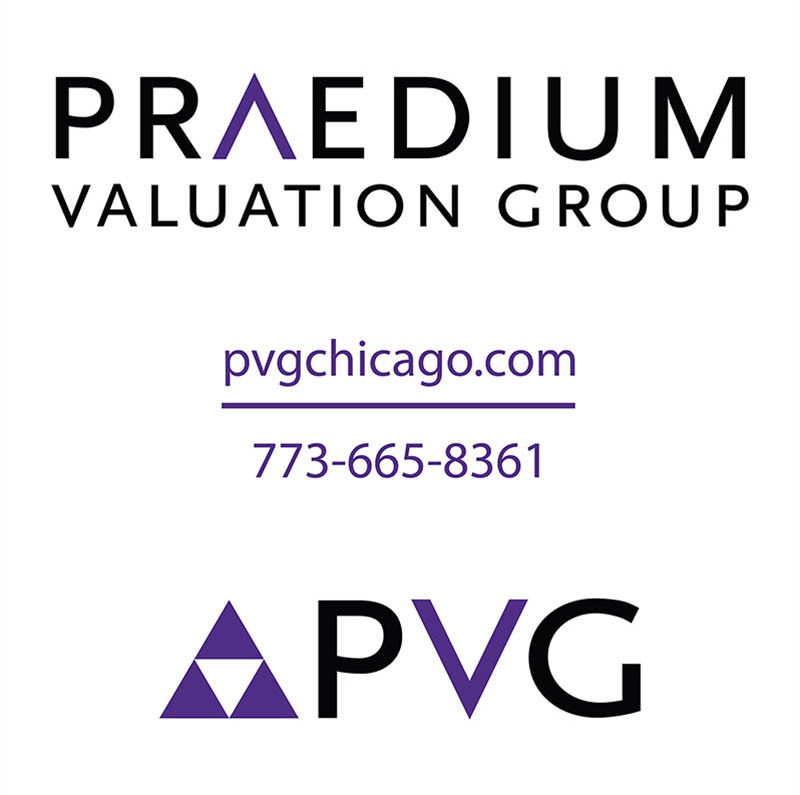 Joe Wallace, MAI, is the Co-Founder and Managing Partner, at Praedium Valuation Group (PVG), which is headquartered in Chicago, IL. 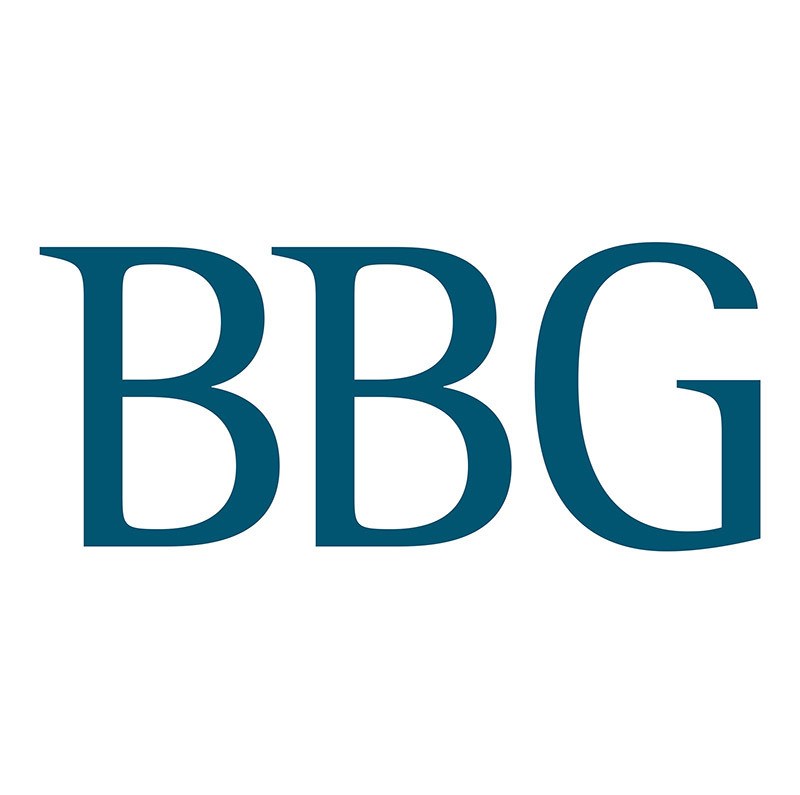 Mr. Wallace began PVG in 2001 and today the firm has a diverse service offering, which includes commercial valuations, residential valuations, litigation support and consulting services. 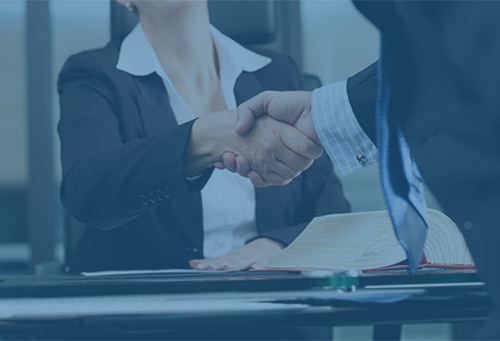 PVG's clients include attorneys, developers, title companies, mortgage lenders and public agencies, as well as corporate and institutional owners and investors. 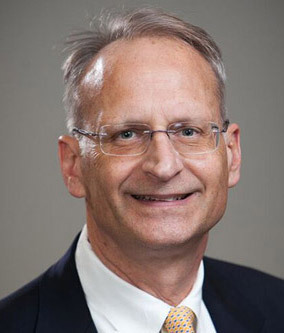 Randall Neff is a partner in Neff Valuation Group in Peoria, Illinois. 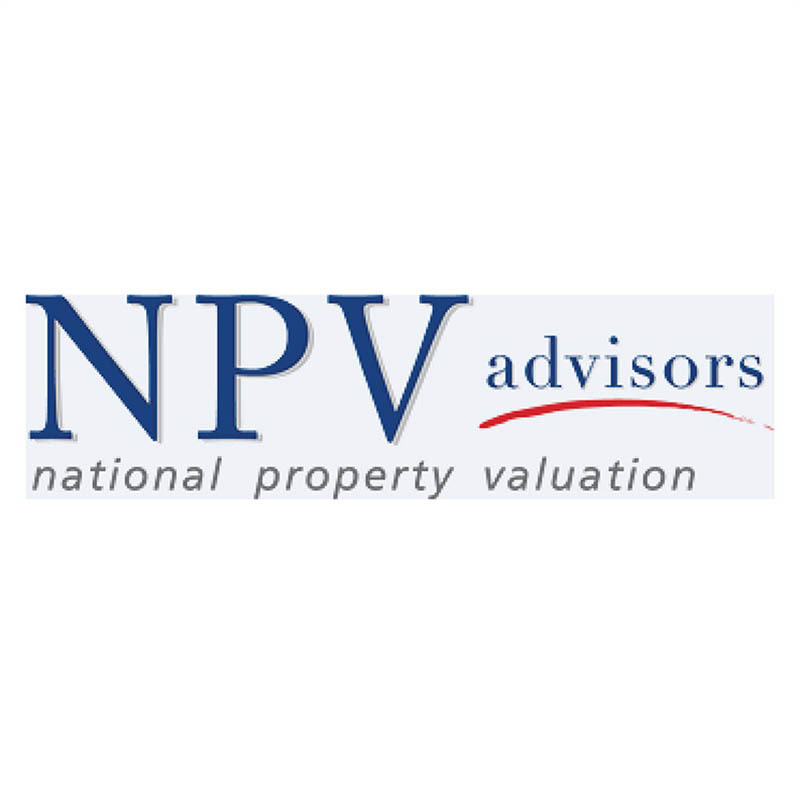 Neff Valuation Group is a diverse practice that completes valuations of residential, multifamily, commercial and industrial properties for a variety of client types. 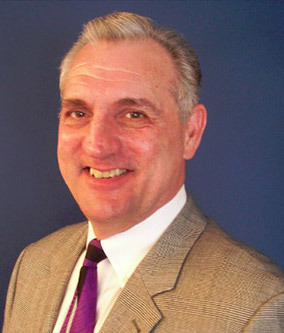 Randall has been an appraiser since 1982, primarily involved in the valuation of commercial and industrial properties. He has been an instructor for approximately 20 years. Enjoy 24/7 access to a world class research library. 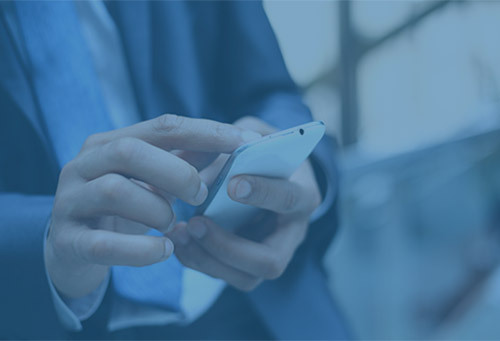 Select from thousands of articles, documents, industry research and more. Become a part of AI's comprehensive appraiser database that lists AI professionals from all over the world. 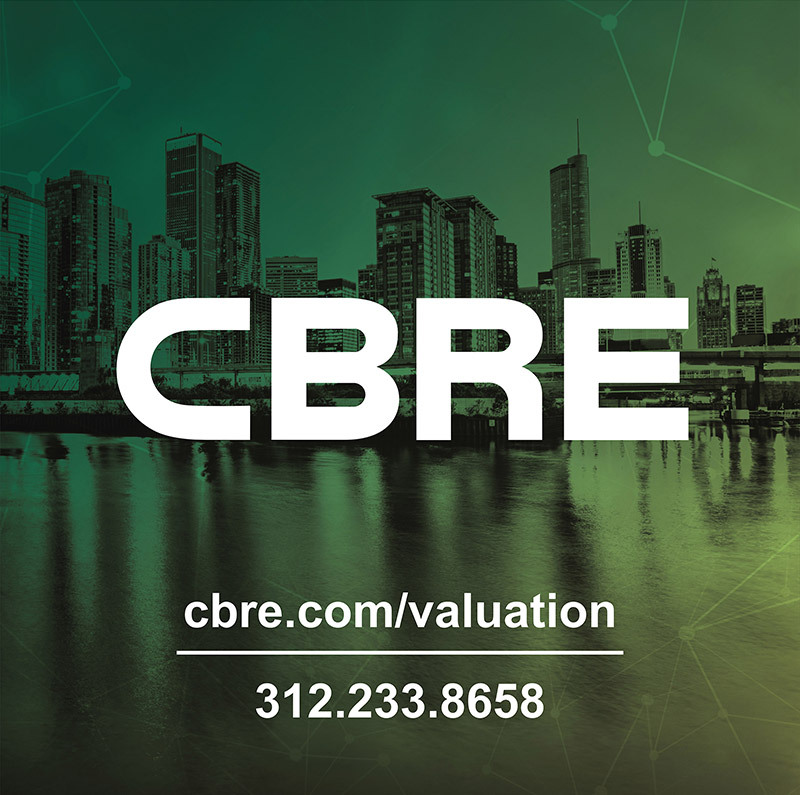 It has become an indispensable resource to those seeking valuation services, as well as a source of business for appraisers themselves. 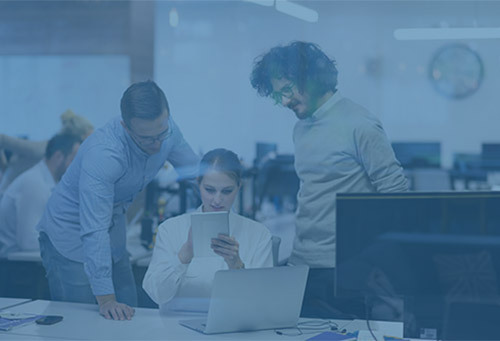 Utilize the AI Career Center which serves as a resource for job seekers and employers alike, specializing in opportunities in the field of real estate appraisal. Market and increase the visibility of your business with business cards and self-promotion templates highlighting your AI designation. 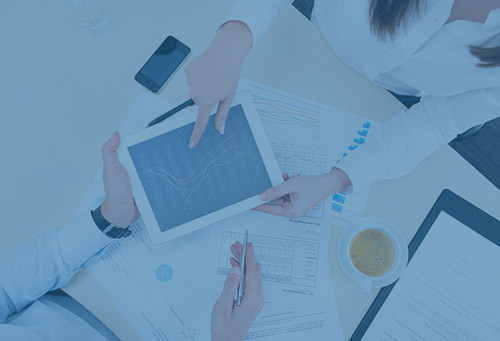 Access report writing tools and resources on common appraisal business practices. Join your colleagues and AI thought leaders at this 3-day education conference and expo. The Leadership Development & Advisory Council (LDAC) is a group of dedicated appraisers who come together once a year in Washington, D.C., to formulate solutions to problems and challenges faced by the appraisal profession. Don’t miss this valuable, information-packed event. A must attend event for: Incoming chapter presidents (attendance required), Chapter Executive Directors, other Chapter Officers, Executive Council Members and Committee Chairs. 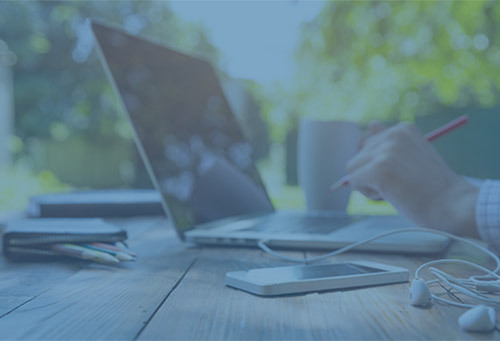 Discuss hot topics, exchange ideas, share documents and other resources, and stay connected to your colleagues. Gain leadership skills and experience by volunteering to serve at the local, regional or national level. 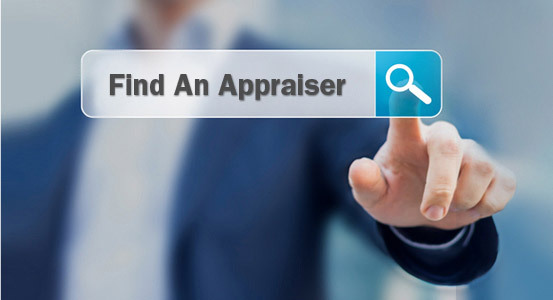 Search the Appraisal Institute's comprehensive appraiser database that lists professionals from all over the world. It has become an indespensible resource to those seeking valuation services, as well as a source of business for appraisers themselves. "The Chicago Chapter of the Appraisal Institute offers the best real estate appraisal education in the industry. The Chapter offers many gatherings, ranging from meetings, seminars, classes and social events which allowed me to meet and mingle with like minded professionals and expand my network"
"Being a designated member has opened many doors. I get inquiries from all around the country looking for work from MAI's. I have also made many friends and have enjoyed the classes and seminars. I think anyone involved in the real estate industry would benefit working with AI. The Chicago Chapter of the Appraisal Institute is a comfortable facility with a friendly and knowledgeable staff." "CCAI has a proud history as being "the" innovative leader and influence in the Appraisal Institute. An aspiring appraiser cannot find a better environment or mentor network that encourage success. It offers outstanding opportunities in appraisal education and leadership. Many members have developed national fame for their specialties, published books and journal articles, seminars, and contributions to the profession. CCAI is truly a treasure. Nearing the end of my career, I personally realize the importance of CCAI in where I've been, what I've done, what I've learned." 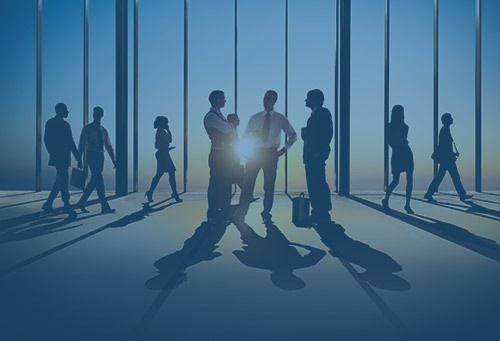 "Whether just starting your career or already established, membership in The Appraisal Institute provides a wide variety of quality education options, consistently high ethical standards, and a variety opportunities to network with other appraisers, and related real estate and financial market participants." 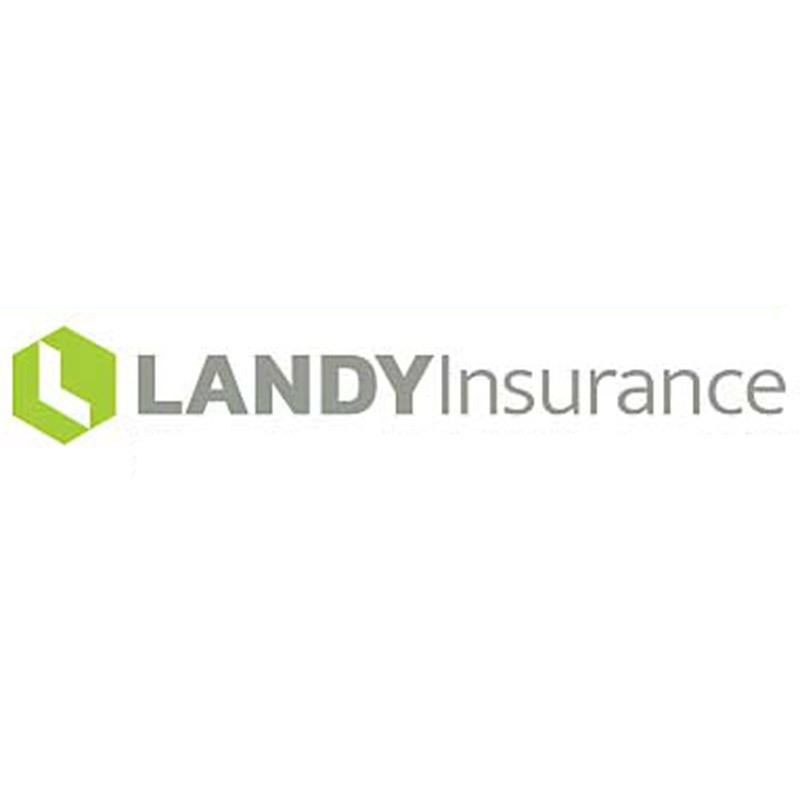 "Benefits of membership include up-to-date continuing education, opportunities to serve the appraisal professionals in the industry in various capacities, social interaction and access to a vast network of appraisal professionals. An MAI since 1984, and a member of the Chicago Chapter since1981, I strongly believe the Chicago Chapter of the Appraisal Institute could be an advantageous association for anybody who desires to be in the appraisal industry." 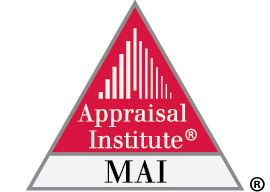 "The Appraisal Institute is the premier professional organization in the appraisal industry and the MAI designation is the most prestigious in the industry and widely recognized world-wide. The Chicago Chapter of The Appraisal Institute is an important appraisal industry organization that advocates for its members through educational services, legislative activities and social activities." "Being a member of the Chicago Chapter of the Appraisal Institute has provided me with many wonderful networking opportunities with other appraisers from all over the country. Classes are offered at convenient locations both downtown and in the suburbs. The Chicago Chapter has provided me with an outstanding education through their vast offerings of qualifying education on my path to designation as well as continued education course offerings to help maintain my state licenses. I have made many great friends and colleagues at the Chicago Chapter, and am honored to be a part of this professional organization." 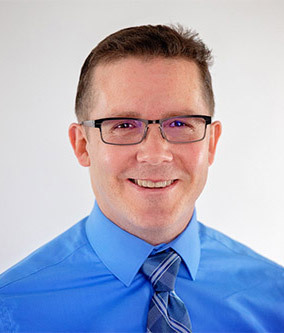 "I joined the Chicago Chapter of the Appraisal Institute because of the excellent educational resources afforded members and the ability to speak with seasoned veterans of the Chicago Chapter of the Appraisal Institute. It is truly difficult to find fellow appraisers that truly understand the business and have such a depth of insightful knowledge. 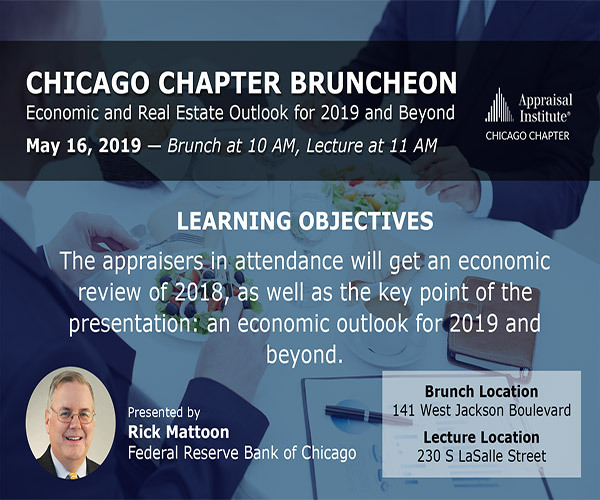 The Chicago Chapter is the proverbial North Star of chapters, in my opinion, as the depth of appraisal knowledge in the Chicago chapter runs from rural to urban properties and from nationwide to worldwide properties. Every commercial and residential appraiser would benefit from joining the Chicago Chapter just to be well informed and to have the ability to call a knowledgeable fellow appraiser for those complex assignments or insight into running a fee shop." "The Chicago Chapter of the Appraisal Institute has been a great source of education to advance my career in the real estate appraisal industry. It also offers many opportunities for networking with my peers, as well as serving the organization." 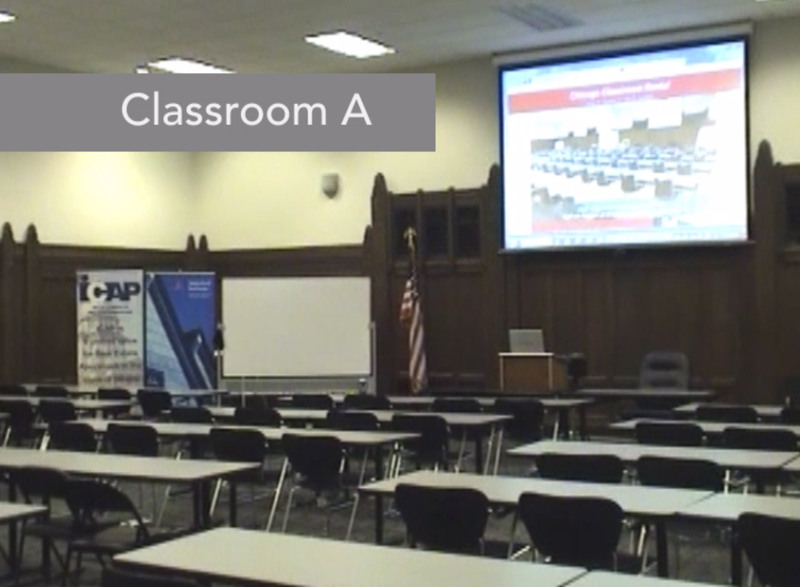 "The Chicago Chapter of the Appraisal Institute has established itself as one of the leading providers of appraiser education and training in the country, and actually the world. With the expansion and establishment of the four different designations, MAI, SRA, AI-GRS, and AI-RRS, education and training is more important than ever in the advancements of our careers as appraisers. Become a member of the Chicago Chapter and give some of your time and energy to make it great. It really is going to give back to you as much as you give to the organization and more. Whether it be sponsorships, or donations of time, it will make a difference in your life and career as an appraiser." "Prior to joining the Chicago Chapter, the leadership was very helpful to me, when I approached them with questions. So, I joined the chapter. Since joining, leadership opportunities have been made available to me that were not available at other chapters. I have also participated as a member. The members have been very supportive of me and helpful in my journey. I have enjoyed my time with the chapter members and hope to continue to do so." "As the owner of a small appraisal firm, I often struggle to find new opportunities to meet leaders and experienced appraisers in our industry. 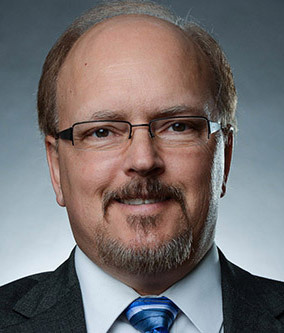 Becoming a member of the appraisal institute and getting involved in the chapter, has given me access to a vast network of these professionals, and has been the single greatest decision I have made as a leader, appraiser and a business owner." "The Chicago chapter of the appraisal institute is a wonderful resource for continuing education and appraisal networking. I look forward to the annual conditions of the market seminar every year." "Joining the Chicago Chapter of the Appraisal Institute was a defining moment in my career and over time has converted my business into a professional firm. The appraisal industry is changing and building strong relationships with other professionals is essential to staying ahead. 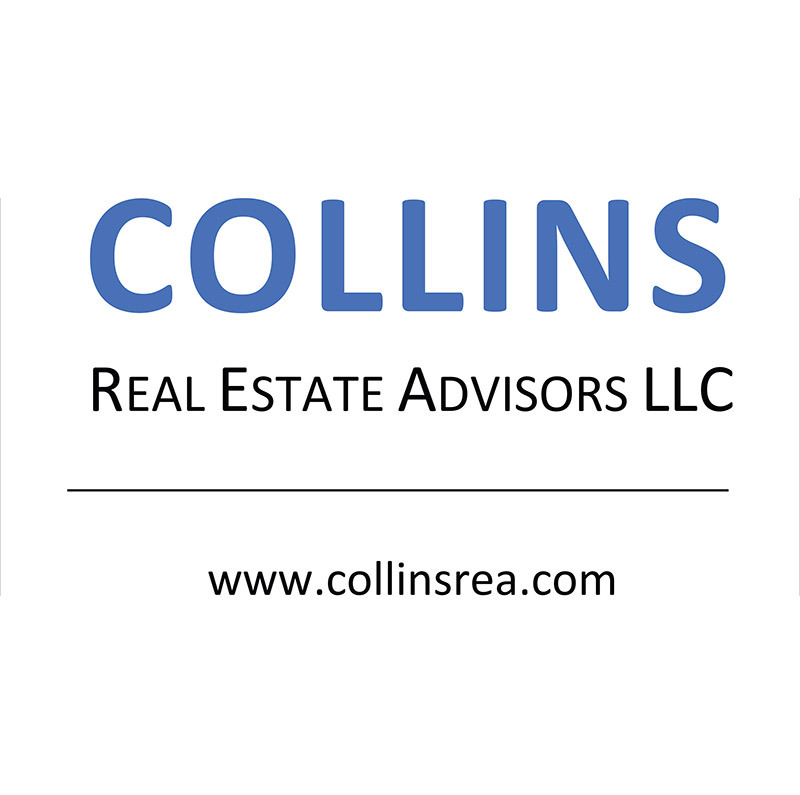 Nowhere else can you find better real estate valuation experts." "The Chicago Chapter’s website is my go-to resource in finding appraisers for my firm. In addition to being able to post available positions, I also can take a look at appraisers who are seeking work. This is a great resource available to Appraisal Institute members and affiliates." 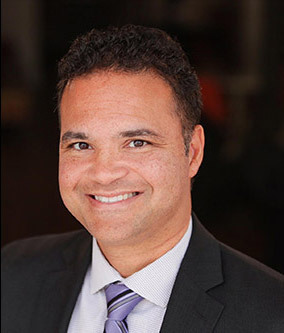 "Becoming a member of the Chicago Chapter of the Appraisal Institute provided me an opportunity to network, as well as, employment opportunities. The majority of my employment opportunities were due to membership and access to the CCAI website. The benefits are surmountable when it comes to membership discounts on courses, educational offerings, employment postings, scholarship opportunities, etc. The Chicago Chapter of The Appraisal Institute is a professional powerhouse for real estate appraisers and other professional organizations of real estate services." "I have found the instructors at the Chicago Chapter and the fellow members are extremely willing to help others in this profession to succeed. Their help extends beyond the classroom into ones daily business practice. The Chicago Chapter of The Appraisal Institute has provided me with the tools to help me be better prepared for the challenges facing our profession. CCAI has been and continues to be made up of people who recognize a need and are willing to work to fill that need to improve the organization or a fellow member, often at great sacrifice to their own to their own needs." "The local chapter has the most comprehensive and frequent CE and QE offerings available to appraisers. The Staff at CCAI always WOW's the membership in customer service." "The Chicago Chapter of The Appraisal Institute provides one of the largest networks of appraisers in the US. To be a part of the Chicago Chapter has not only benefitted person growth but professional growth as well. I believe any company would benefit with working with the CCAI. With an extensive membership and networking opportunities there is no limit to the cross impacts between business. The CCAI values its members and looks out for their best interests. To be as successful as it has been year over year is a testament to the strength its community." "I feel honored to be affiliated with what I considered to be some of the best appraisers in the country. The Chicago Chapter of the Appraisal Institute keeps me up to date with issues and I stay informed of the changes in the profession, some I even had to privilege of participating in their development. The Chicago Chapter gave me a good foundation for my career and has sustained me as I near retirement. But, one of the most important benefits are the relationships I developed with other members of the Chapter that have created lasting friendships." 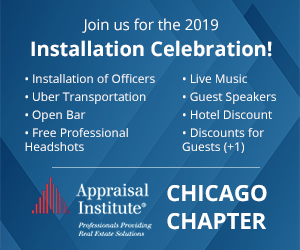 "The Chicago Chapter of the Appraisal Institute provides high quality professional education, industry support, interesting social events and chances to become involved and meet with other appraisers. If you are looking to expand your appraisal knowledge and network with other appraisers, the chapter is by far the best option." The Crommelin Scholarship is available to Candidates for Designation who belong to the Chicago Chapter of the Appraisal Institute that are pursing either the MAI or SRA designation. The Schroeder scholarship program was developed to encourage and assist members of the Chicago Chapter of the Appraisal Institute who are Candidates for the MAI Designation. These scholarships are funded by the Chicago Chapter of the Appraisal Institute. To learn more about the Chicago Chapter of the Appraisal Institute’s Scholarships visit this site. To make a donation or if you have any questions please contact LA Anderson at LA@ccai.org. 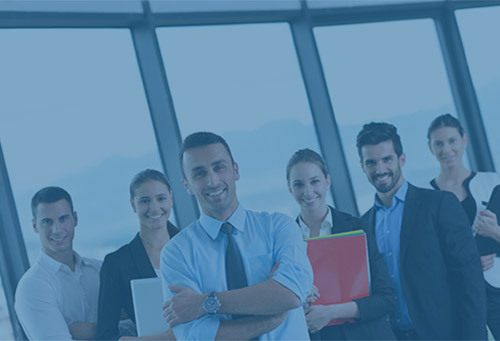 This scholarship is for Candidates for Designation who are active in appraising and need financial assistance to take Appraisal Institute courses leading to the MAI, SRA, AI-GRS or AI-RRS designation. This scholarship is for minorities and women Candidates for Designation who are active in appraising and need financial assistance to take Appraisal Institute courses leading to the MAI, SRA, AI-GRS or AI-RRS designations. 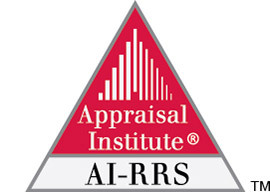 This scholarship is for Candidates for Designation who are active in appraising and need financial assistance to take Appraisal Institute courses leading to the MAI, SRA, AI-GRS or AI-RRS designations. This scholarship is awarded on the basis of academic excellence, this scholarship helps finance the educational endeavors of undergraduate students concentrating in real estate appraisal, land economics, real estate or allied fields. This scholarship is awarded on the basis of academic excellence, this scholarship helps finance the educational endeavors of graduate students concentrating in real estate appraisal, land economics, real estate or allied fields. This scholarship is for minorities and women students pursuing academic degrees in real estate appraisal or related fields. 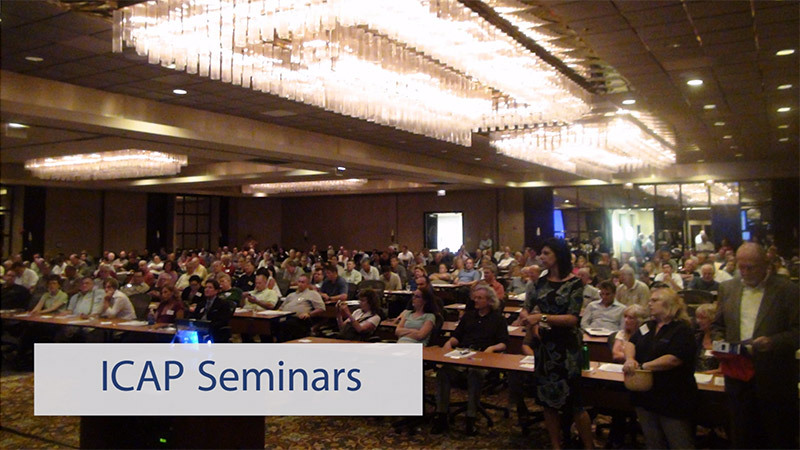 Get news and updates from the Chicago Chapter of the Appraisal Institute sent directly to you! 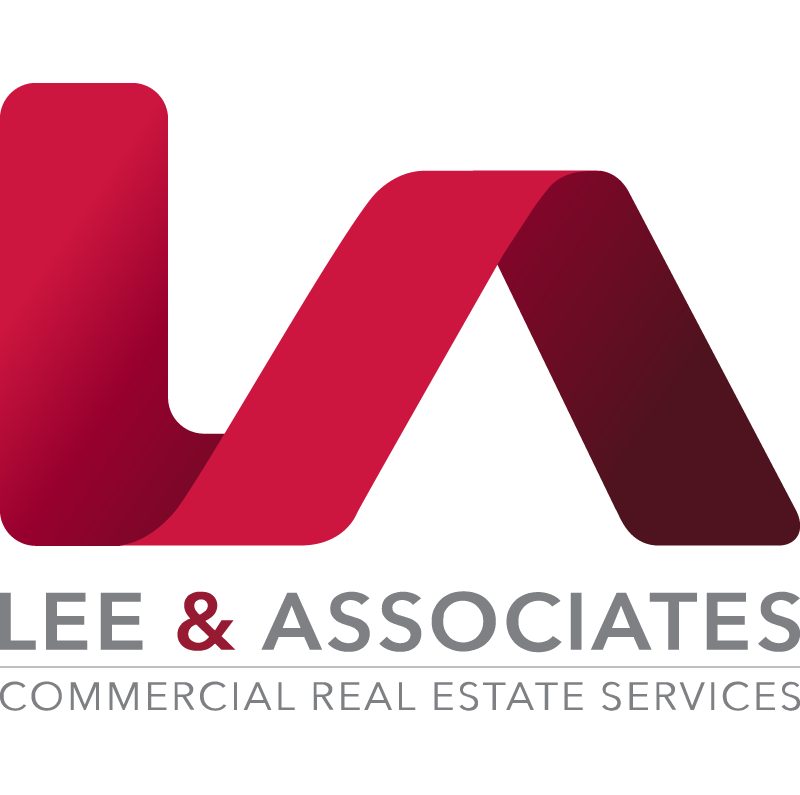 Hi, I am a fairly new Associate Real Estate Trainee Appraiser. I am above all eager to venture on the journey of being an Appraiser. All that I am missing is someone to mentor under that will allow for me to gain the experience needed. I have my Bachelor of Science Degree in Management Information System, I have a solid and diverse work background, I am detail oriented, and have a motivated personality. I am excited to put into action all that I have learned, and more than anything remain hopeful, that I will be mentoring under the very same person reading this. My email address is shevosha@yahoo.com, Tel; 773-706-7489. Resume is available upon request. My name is Tom Just. 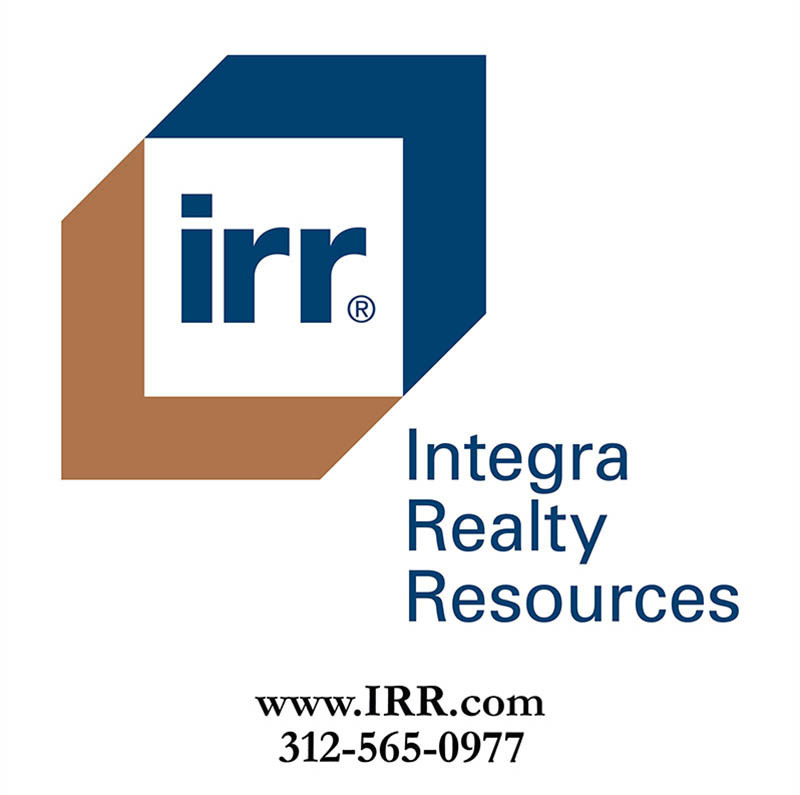 I own an independent real estate brokerage in Evanston, IL by the name of Now Residential. I have a background in REO valuations and appraisal of distressed property. 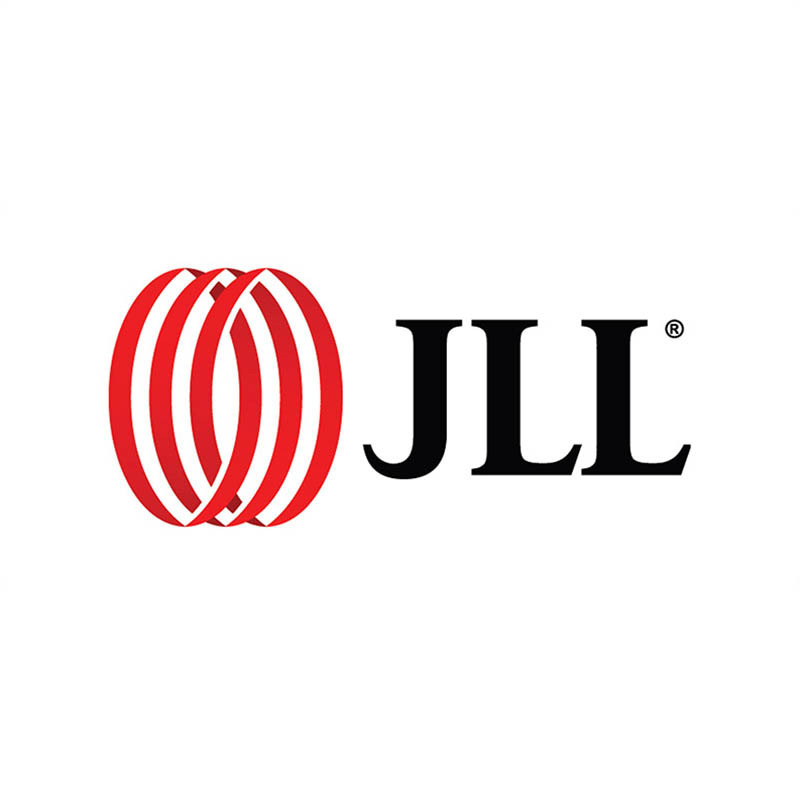 I have performed valuations for mortgage servicing companies in five counties, and in most regions of Chicago. I am very familiar with the majority of market areas in the Chicago area. I recently renewed my license, which technically is a trainee license. 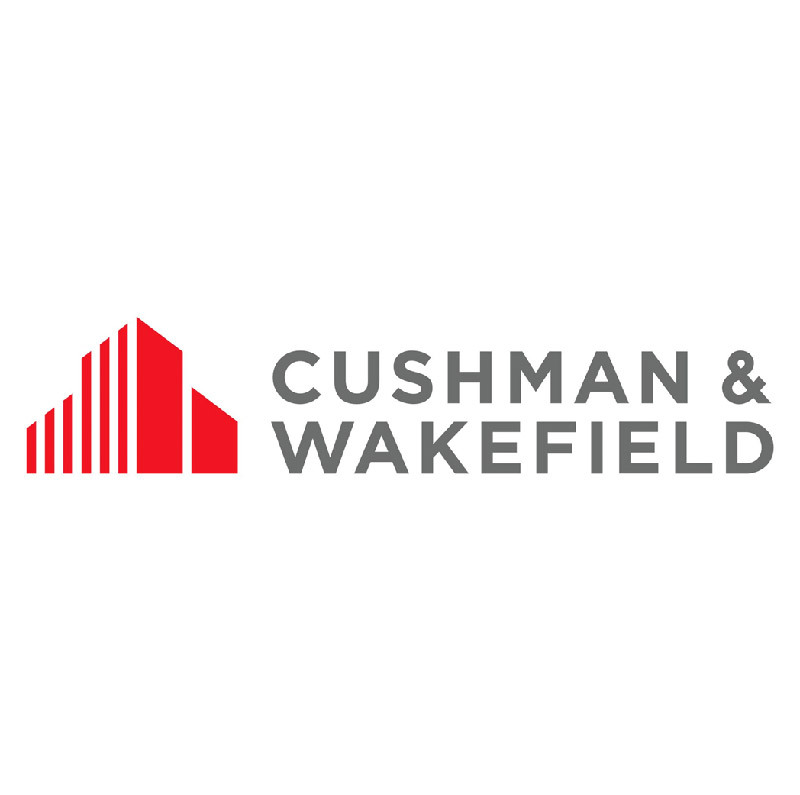 However I have also completed the core IDFPR education requirements pertaining to general appraiser certification, and have experience as a broker in valuing commercial properties. I currently serve as the Chair of the NSBAR Professional Standards Committee. I may be able to generate business independently, and am looking for a Certified General Appraiser - or a firm that offers appraisal services - that may be able to participate in the completion of appraisal assignments I bring in. Likewise, I an interested in accepting assignments as a vendor, and would be interested in forming a relationship with a firm that needs a reliable appraiser as well. Hi My name is Dan Gorski. Recently I completed all the coursework needed to obtain my Appraiser Trainee License. [License 557.006368]. This training builds on my twenty -one years as a Real Estate professional versed in all aspects of real estate transactions including development and execution of contracts, deeds and leases. As a real estate broker, I am a highly effective communicator and team leader adept at building long-term relationships by establishing high levels of confidence and trust. Now I am looking to join an outstanding company. If you are looking for a hardworking and loyal individual, I am the right choice. Please contact me at dgorski58@gmail.com or 630.742.9655. CCAI is a proud sponsor of the Illinois Coalition of Appraisal Professionals! To view full update login to the ICAP website. When looking for stat-of-the-art conference facilities in a convenient downtown Chicago loation, look no further thatn the Chicago Education & Conference Center. 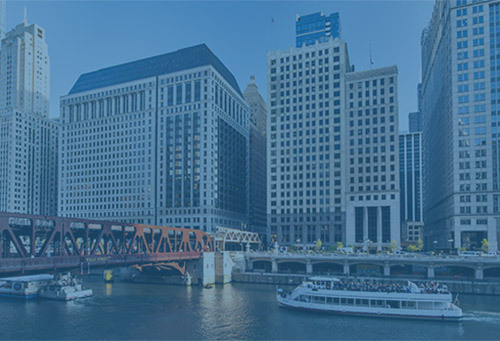 Located along the Chicago River on Wacker Drive, we have combined the art and science of hosting a business meeting or conference ensuring every event is a success. When you walk down the marble-lined hallway you will find two sophisticated conference rooms, each surrounded with beautifully carved wood panels, 18 foot high ceilings and a full 1,750 square feet of meeting space with seating for up to 68. You will also be surprised to learn that by simply removing the soundproof dividing wall the two rooms can be combined for 3,500 square feet and seating for up to 136 participants. In addition to our elegance, you will find state-of-the-art technology. Unlike most conference centers which charge you outrageous fees for equipment, these two conference rooms come complete with wireless internet access, computer data projection, audio and video conferencing, white boards, tablet PC's and document projection at no extra cost. We even include our on-site technology staff, ensuring your conference will proceed flawlessly.